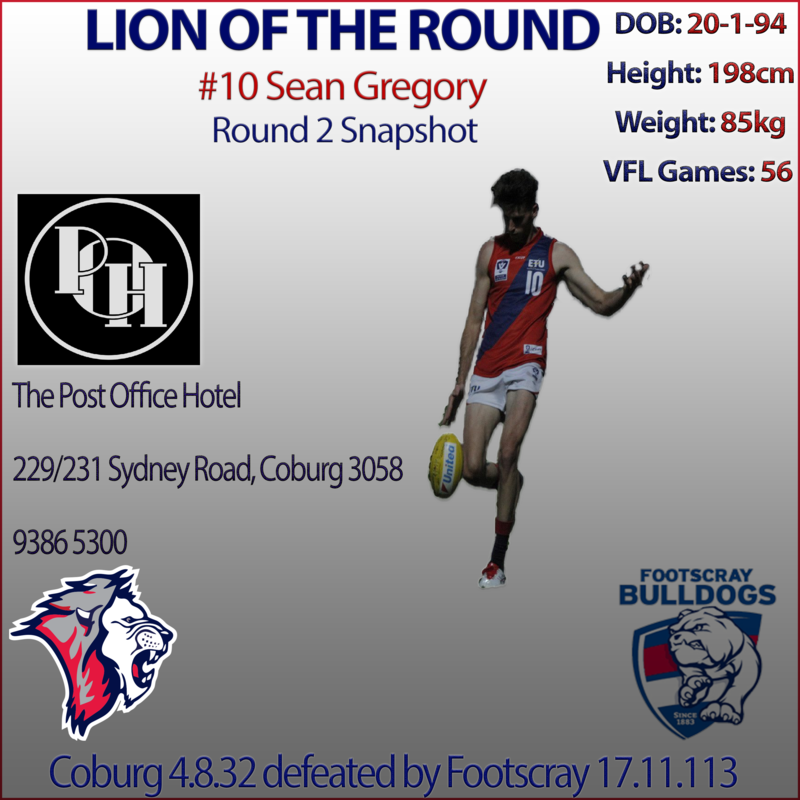 Sean Gregory has been named the Post Office Hotel’s Lion of the Round after his strong performance in defence on Saturday afternoon. 2017 was a successful year personally for Gregory after he was named in the VFL Team of the Year at full-back. 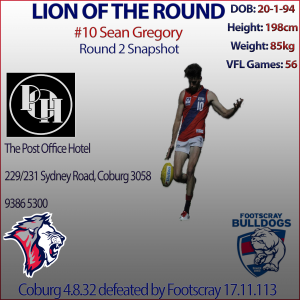 Gregory built on that throughout the pre-season and has continually developed to now become the leader of a young Coburg defence, who took on Footscray on Saturday. Although the wet conditions helped, the Lions defence held a star-studded Footscray forward line to just four fast half goals. While the scoreboard didn’t look pretty when the final siren sounded, there was still positives to take out of Saturday’s performance. As can be expected with a young side, inconsistency has been one of the biggest problems early this season. “This week I think we really need to have a four-quarter performance and a team orientated mentality,” said Gregory. You can catch Gregory and his teammates in action at Piranha Park this weekend, with the clash against Box Hill kicking off at 2pm.